In 1952, a young Frederick Forsyth met Hitler’s personal pilot. There was a world gliding championship that year, and it was held at a place called Oerlinghausen. The huge expanse of grassland was crowded with gliders in a variety of club markings, waiting their turn to be towed into the air. And there were notable pilots, around whom admiring crowds were grouped. One in particular was clearly very famous and the center of attention. And she was a woman, though I had not a clue who she was. 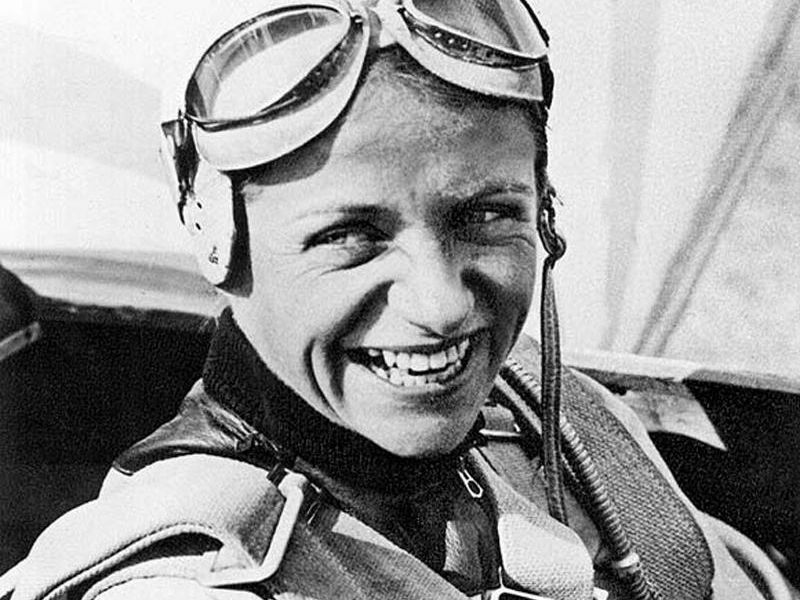 In fact she was Hanna Reitsch, Luftwaffe test pilot and Hitler’s personal aviator. If he doted on her, his admiration was as nothing to the adoration she bore for him. In April 1945, as the Red Army closed in on the surrounded heart of Berlin, and Hitler, drawn and trembling, moped about his bunker under the Reich Chancellery, Hanna Reitsch, at the controls of a Fieseler Storch, a high-wing monoplane with an extremely short landing and takeoff run, flew into the doomed enclave. With amazing skill, she put it down on an avenue in the Charlottenburg Zoo, switched off, and walked through the shell fire to the bunker. Because of who she was, she was allowed into the final redoubt where, a few days later, Hitler would blow his brains out, and was ushered into the presence. There she begged the man she admired so much to let her fly him out of the Berlin death trap and down to the Berghof, his fortified home at Berchtesgaden in southern Bavaria. There, she urged him, surrounded by SS last-ditch fanatics, the resistance could continue. Hitler thanked her, but refused. He was determined to die and bring all Germany down to ruin with him. They were not worthy of him, he explained, one notable exception being Hanna Reitsch. A friend of my host, another veteran of the Luftwaffe, secured our admission into the admiring circle around the ace aviator. She was beaming and shook hands with my host and his wife and their teenage children. Then she turned to me and held out her hand. The smile froze, the hand was withdrawn. I recall a pair of blazing blue eyes and a voice rising in rage. “Ein Engländer?? ?” she squawked, and stalked off.